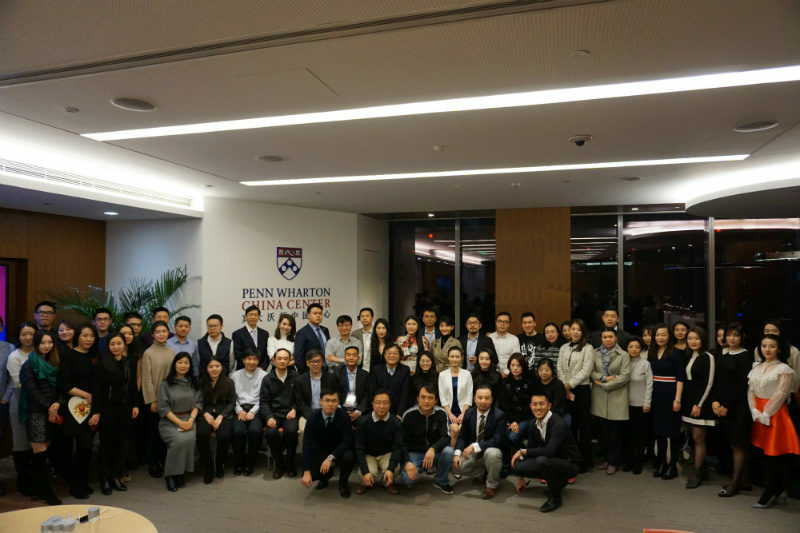 The Penn Alumni Club Annual Return Dinner was hosted at the Penn Wharton China Center on December 22nd, 2018. 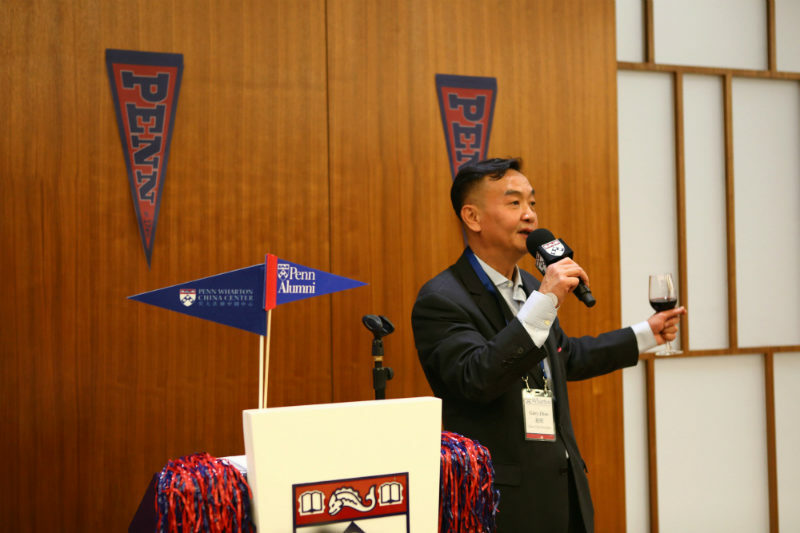 This dinner provided a great opportunity to show our gratitude for the contribution the Penn Alumni Club members made in the past year and also was a wonderful chance to meet new members of the Penn Alumni. 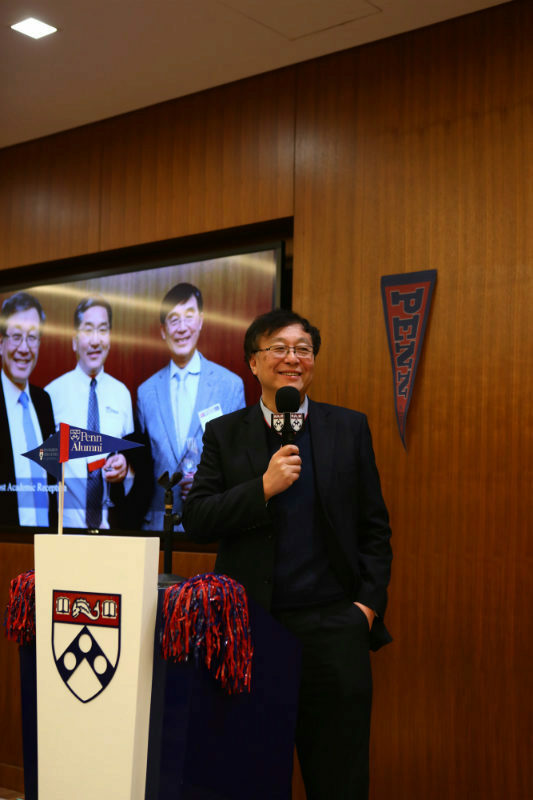 The dinner opened with laughter and reconnecting with old friends including Hua Hua, Chairman of Penn Wharton China Centre, Andy Mok, Ex Alumni Club of Wharton Beijing, Gary Zhao, Chairman of Penn Beijing Alumni Club, and Zhang Hongbing, Board Member of Penn Beijing Alumni Club. 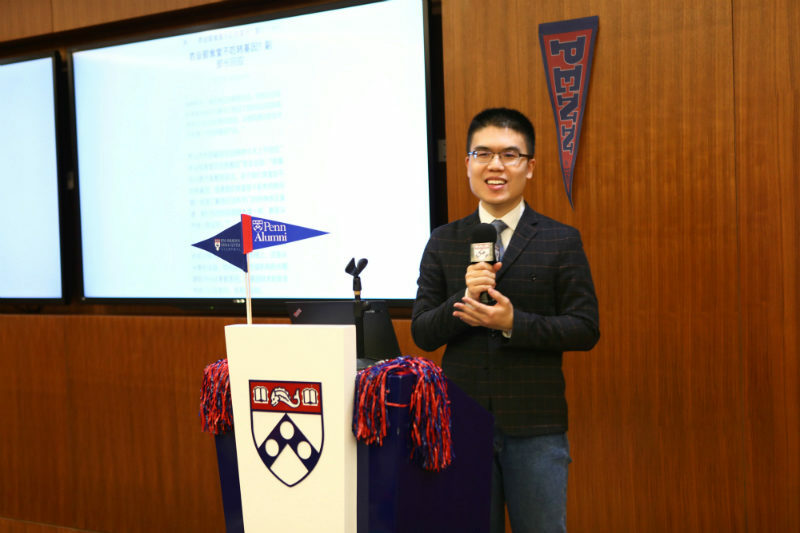 Hua Hua, who obtained his Master of Computer Science and PhD of Operation and Information from Penn, gave the opening speech. 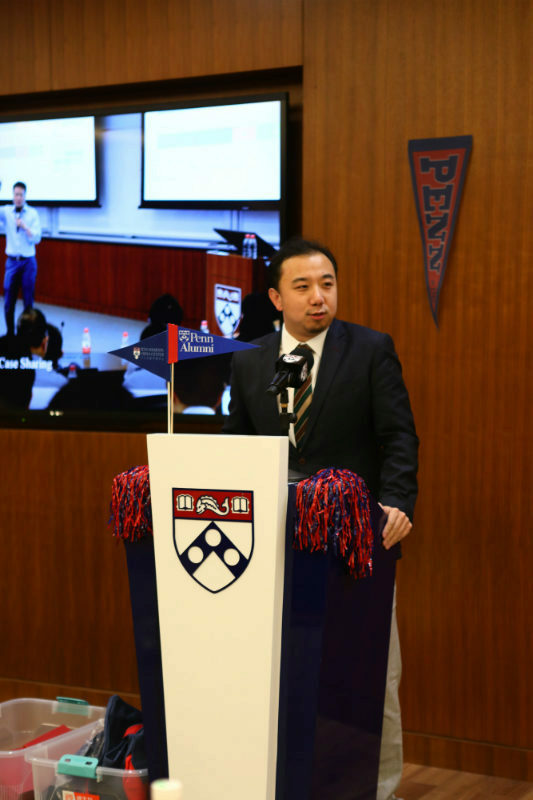 He expressed his gratitude for the contribution of every Penn alumni and gave his best wishes for Penn Beijing Alumni Club next year. Andy Mok stepped on stage next. 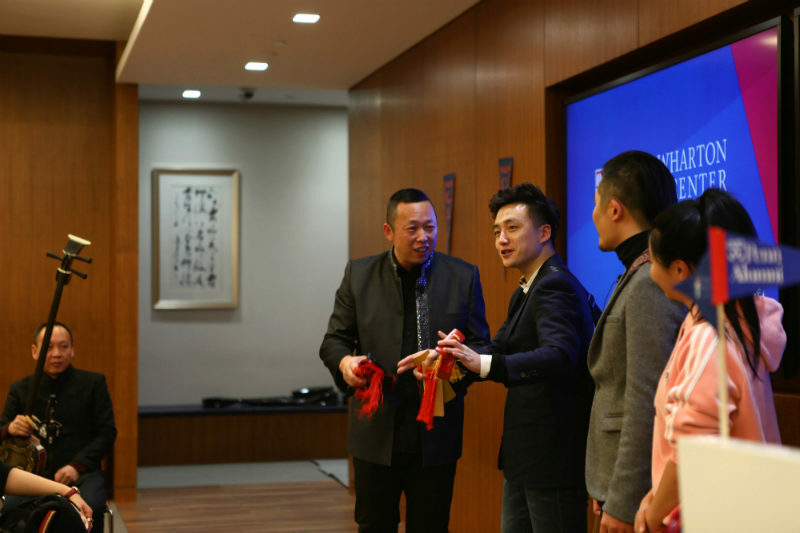 He found a company named Chao (which means “nest” in Chinese) and now he was a special guest of CGTN. He commented on the relationship between China and America and called on business people to pay attention to political developments and stick to business principles against the influx of information. 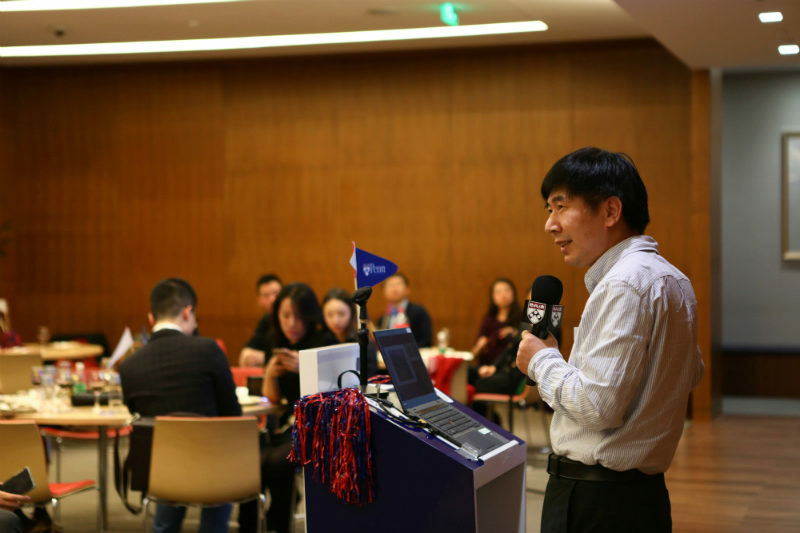 Gary Zhao, Chairman of Penn Beijing Alumni Club, reviewed the achievements of Alumni Club in the past year. 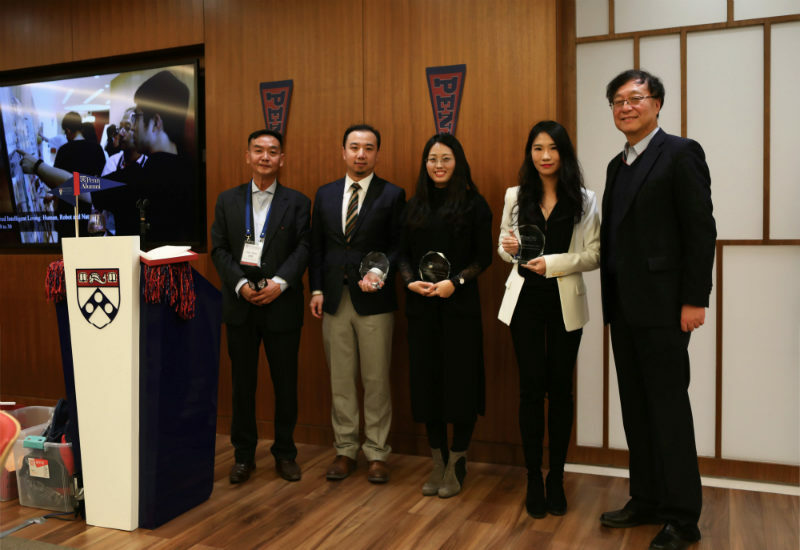 Gary Zhao and Hua Hua together gave the Penn Club of Beijing President’s Award to Yao Jiusi GEd’16, Yang Xin EG’08, Zhang Jinxi GEd’15, Li Bailin GEd’14, Tao Zhiyu W’93, and Wang Yu GEd’09. Alumni from Wharton Business School, Graduate School of Education, School of Design, School of Arts and Science, School of Engineering, Law School, and School of Medicine attended the dinner. Yang Xin EG’08 hosted the event. 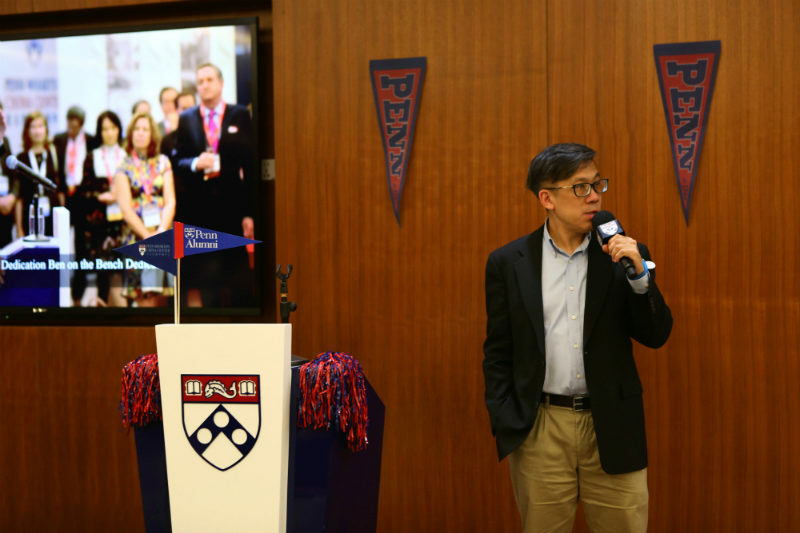 Zhang Hongbing, Board Member of Penn Beijing Alumni Club and a PhD graduate from School of Medicine, shared his beloved memories of the Penn campus. This deeply resonated with his fellow alumni and triggered memories of the wonderful time they spent at Penn. Gong Fan shared her wonderful and various experiences with all alumni. 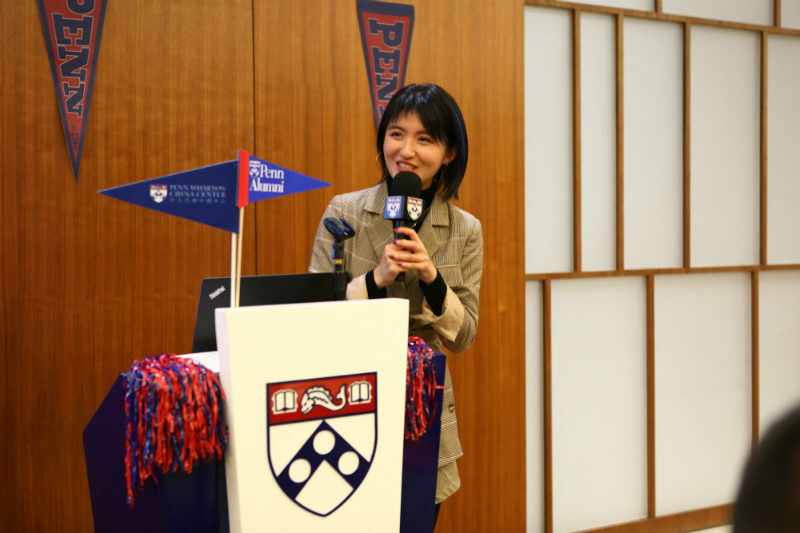 She was a hostess of Shandong TV, a 2013 graduate of Penn from the School of Engineering, and an investor. She also shared her ideas on investments with alumni. Qin Yuhui, a 2017 graduate of the School of Education shared his thoughts during a presentation entitled What Educational Psychology Does. He introduced how he used his knowledge from Penn to predict children’s psychological and physical development and help children in trouble to succeed. A huge highlight of this dinner was a performance by Jin Yuchen, a 2014 graduate of Wharton, and his band NoTwoBro. At the party, they were joined by a number of Chinese actors specializing at Chinese traditional performance like Allegro and Xiangsheng. Together, they presented a stage play to tell a story of how modern oversee students appreciate Chinese performance art.